Aerial view of the Deer Park Airport. 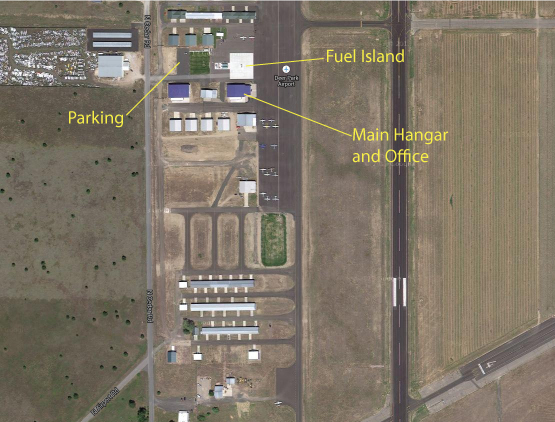 Our building is located just south of the fuel pumps. Parking is available just outside the security fence. Click here or on above map to view in Google Maps.